! Paired MPET reads in their original outward orientation <- -> must be separated by ":"
-x When turned on (-x 1), LINKS will run with a behaviour equivalent to v1.3 (no Bloom filters). 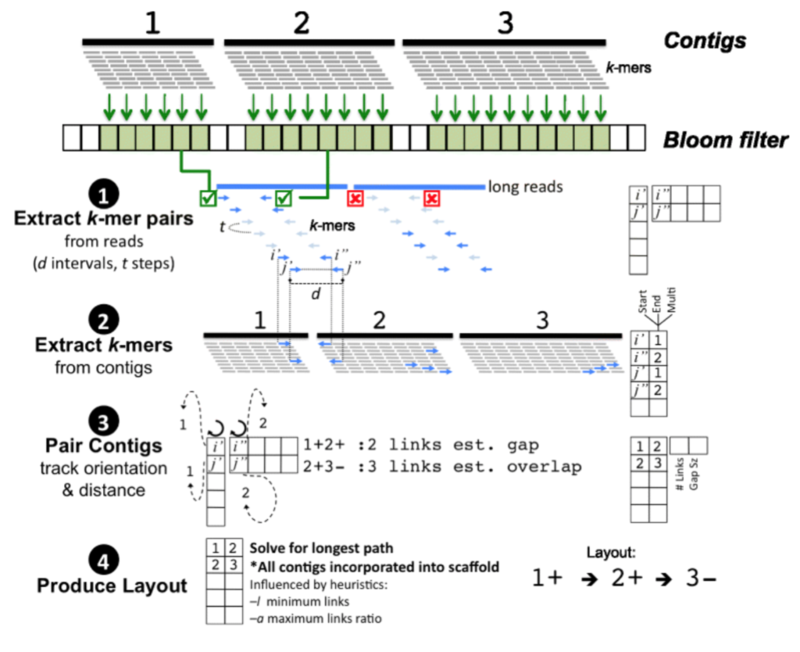 This may be useful for large genome assembly drafts and when long reads are extremely high quality.